What are the Steps Involved in the Chicago Wine Cellar Design Process? 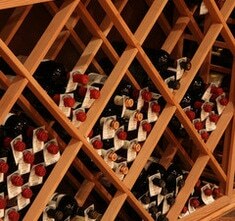 The process of creating and building a wine cellar is a detailed procedure that requires careful planning and execution in order to construct a custom wine storage area that not only provides the best climate conditions for wine aging, reflects the personal taste and lifestyle of the wine collector as well. 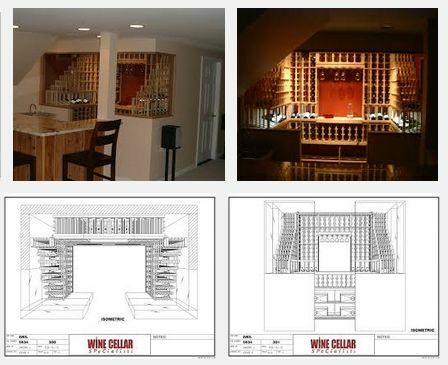 There are a few key wine cellar design steps to consider prior to the actual wine cellar construction, such as establishing the location of the wine room, measuring the space of the proposed wine cellar, determining the number of wine bottles in the collection, and deciding on the type of storage and display solutions, climate control system, and wood variety. Establishing the exact location and accurate dimensions of a wine cellar space will help determine the right type of insulation, vapor barrier, drywall, and proper refrigeration systems for the wine storage area. These components are crucial to achieving the required temperature and humidity levels for preserving the taste and quality of wines over a prolonged period of time. Estimating the expected number of wine bottles is an essential aspect of Chicago wine cellar design, because it helps determine the best wine racking option for managing, storing, and displaying wine collectibles. There are a range of racking systems that wine collectors can mix and match to create visually enticing display solutions, while maximizing storage capacity of their custom wine room. 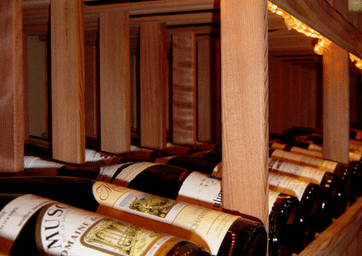 Choosing the type of wood species for making the wine racking systems will help determine the overall wine cellar design, and the strength and longevity of the storage devices. There are different wood varieties to choose from, including premium redwood and mahogany. 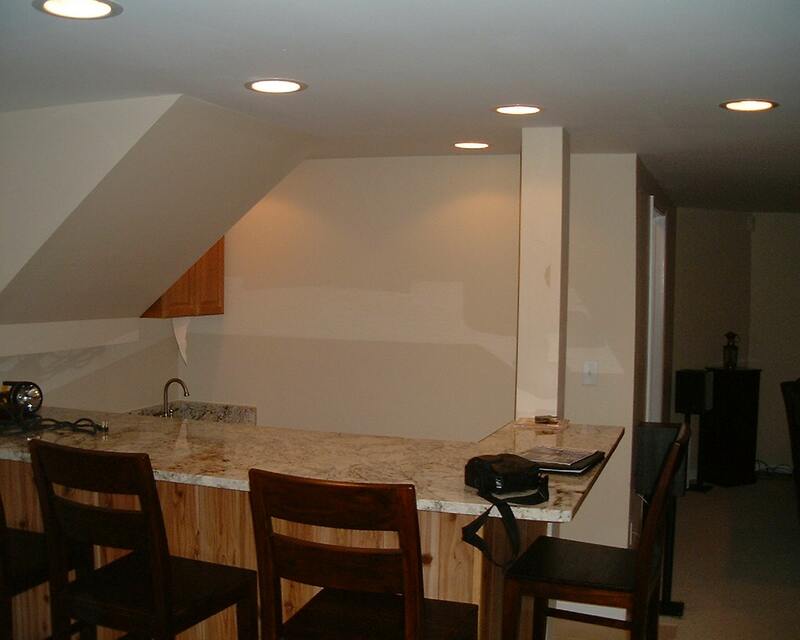 Stain and finish options are also available to match the interior of a wine cellar. When embarking on a colossal and complex project like building a wine cellar, it is always recommended to seek out advice from professional wine cellar experts, as they possess a broad knowledge and extensive experience of Chicago wine cellar design and wine cellar construction. They will assign a design specialist that will guide each client throughout the initial design phase and the actual installation phase of the project. The assigned specialist and client will discuss the different wine cellar design steps (as mentioned above), as well as the details of their wine collection, display needs, and storage requirements. Then, the wine cellar specialist will prepare a free 3D design package that presents how the custom wine room will look like when completed. A 3D drawing is a comprehensive three dimensional illustration of the proposed wine cellar. It presents an overhead view of the project, features the different heights and measurements of the racking solutions, and provides the total bottle capacity of the space. It is a useful tool in building a wine cellar, because it gives both designer and client an opportunity to make modifications before wine cellar construction commences. Most wine cellar builders and designers form a collaborative partnership with their clients when it comes to developing Chicago wine cellar design concepts and ideas. A collaborative approach allows them to accurately capture the preferences of their clients, in terms of their storage and display needs and the overall appearance of their custom wine cellar space.